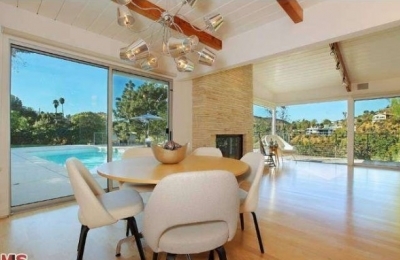 Venus Williams has her 1528sq foot Hollywood hills home listed for sale for $1,799,000. The 33 year old has a tough decision putting her home for sale since it is carefully remodelled and close to many LA venues. However, since she does not use the property much, she has decided to take advantage of a resurgent LA real estate mark-up to recover some of her investment. The home is at the heart of Nichols Canyon, with a gated private driveway. The land is just under a half an acre, the garden and pool are overlooking the canyons. Anyone looking for a mid-century modern styled home, it will most likely sell quick.